Some time ago Fernando and I where sitting together over a cup of coffee. 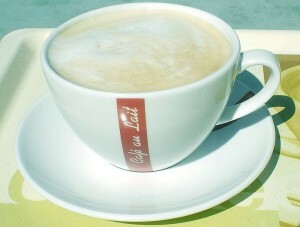 Okay, it was a virtual cup of coffee, for Fernando is in Venezuela and I am in Germany. We both had written articles on the subject of registrar’s work and translated them in each others language to share with more colleagues worldwide. It occured to us, that language is a crucial barrier for professional development. Many are excluded from important information because interesting publications are only available in – let’s say – English. We found this to be true in many, many aspects of the museum world. So we started this blog. The idea is to share articles about registrars, collections, cataloguing, documenting and so on in as many languages as possible. We start with our own articles and we can provide at this moment Spanish, German and English. We highly appreciate everyone who is willing to contribute by translating or writing. We work this way: each one of us translates his / her article in English and the other one makes suggestions improving the English and then translates the article into his native language. Given this process it might well be that there are parts that can be translated more accurate. So feel free to drop us a line if you speak two languages well and discover that we goofed up something. The basic thought is the free flow of information to and from other languages. We do this out of conviction and affection to the work in museums. We appreciate everybody who likes to support us (and maybe translate one or the other article into another language?). thank you very much for your article. It confirmed Fernando and me to include something what we had in mind when we named the “stories” section “stories & thoughts”. This is a registrar’s blog but it’s essential to keep an open mind and not staying inside the registrar’s box when it comes to thinking. That’s why we opened up the section “Think again” which includes your article as first post. danke für den Beitrag. Er hat Fernando und mich in etwas bestätigt, was wir im Hinterkopf hatten, als wir die “Geschichten”-Rubrik ursprünglich “Geschichten & Gedanken” genannt haben. Dies ist ein Registrar-Blog aber es ist wichtig, immer aufgeschlossen zu sein und nicht gedanklich in der Registrar-Schublade verhaftet zu bleiben. Deshalb haben wir nun die Rubrik “Denk mal wieder” eröffnet, und Ihr Artikel ist der erste Beitrag. muchas gracias por tu artículo. Esto nos convence a Fernando y a mí de incluir algo que teníamos en mente cuando denominamos “Relatos” a la sección de “Relatos y pensamientos”. Esto es un blog de registradores, pero es esencial mantener una mente abierta y no quedarnos dentro de la caja del registrador a la hora de pensar. Esa es la razón por la que abrimos la sección “Piénsalo otra vez” la cual incluye tu artículo como primera publicación.